A beautiful 1949 one-story, hipped roof structure adapted to meet the needs of a growing, multi-generational family. 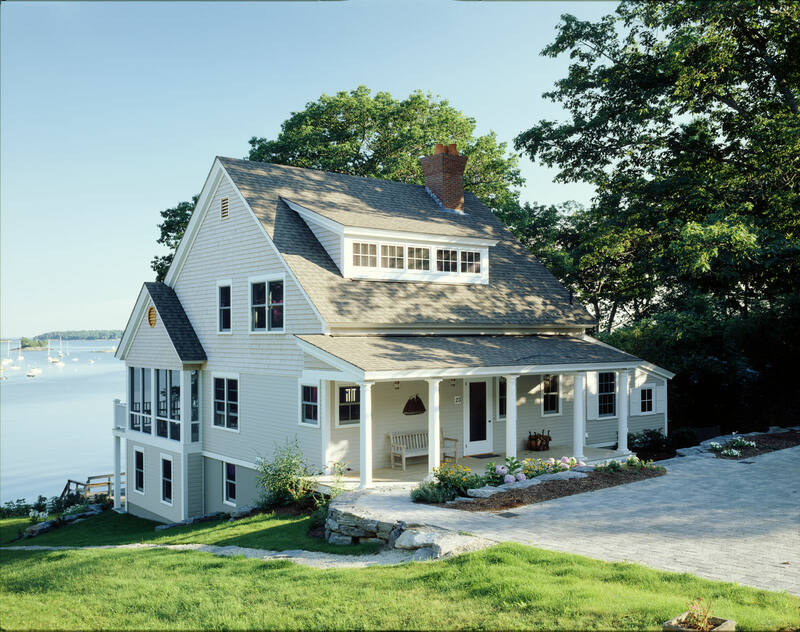 The land drops dramatically from the road to the water’s edge creating two distinctly different sides to the house. 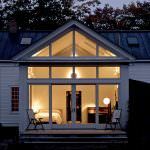 By establishing a low eave height and adding a front porch, the public roadside view retains the welcoming and quaint small-scale form of the original house. The waterside reveals all three floors and creates a memorable landmark when viewed from the Haraseeket River. There are four additions to the first and lower levels and a full second floor was added. 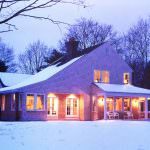 These additions expand the living room, reorganize and add bedrooms, move the kitchen and dining room locations, add porches and decks, and retain the hearth at the heart of the house.